I am not often commissioned to write about myself. But this time around, All Out Adventures gave me an open brief and said, “write what you want.” Though not about me, I do star as the context of the message I would like to portray. To build the backdrop, you need to know my health issues of the prior few years. I have had kidney problems since 1985 and have had and lost two kidney transplants. I have now been on dialysis for a year, and go to hospital three nights a week for this treatment. Medical complications in 2010 then put me in a wheelchair, and while I can still hobble a bit, I am largely dependent on this chair. In short, things are tough, and life has been somewhat of a strain to say the least. On the fortune side of the coin, I have been afforded three particular blessings which make life’s challenges not only bearable, but fightable. In first place, my supportive and loving wife and kids, who have stuck with me and given me reason – but this is another story unto itself! Second, is my very own will to overcome, to see the good, and a desire to make the best of bad – I was lucky to simply have been born with this. The third thing is that which many others either don’t have; or they do, but don’t see it – opportunity. I look for it, and often this means relying on others who may be able to help; or simply doing it yourself. 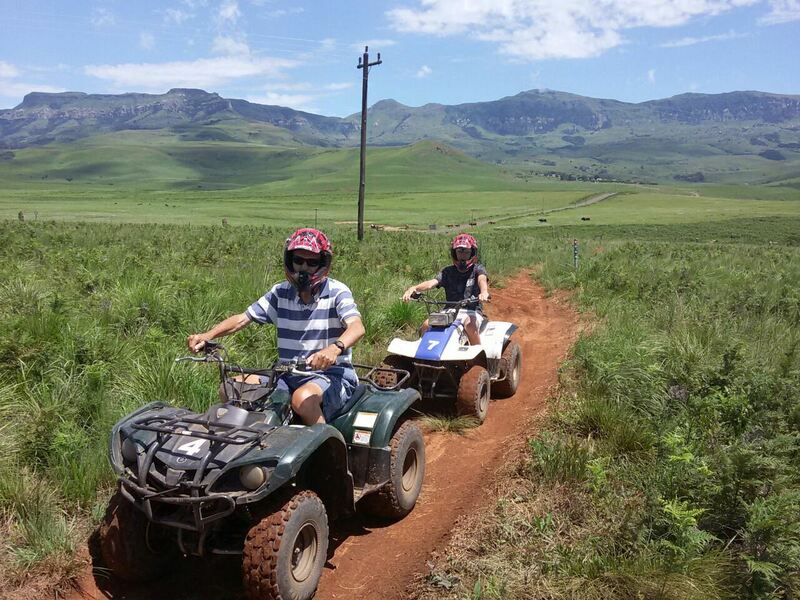 The Drakensberg has been one large recuperating oxygen bubble for me. I have camped in numerous beautiful sites below the mountains, on many occasions. Tents – not caravan. Sure, I don’t quite make the hikes, but hey, somebody must hold the fort right. Camping in a wheelchair is not the easiest thing to be honest, but it is fun, and the therapeutic value should not be under-estimated. 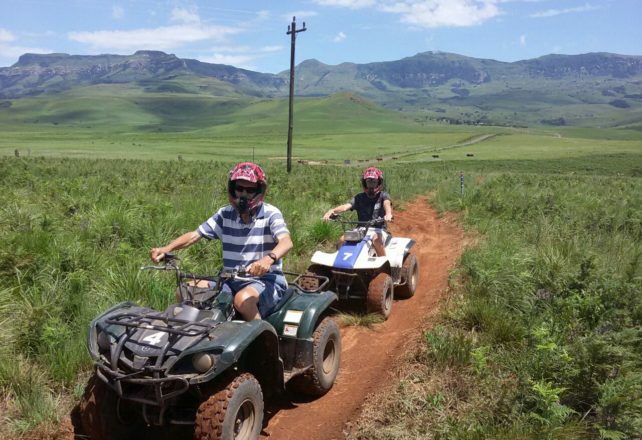 I have also had the fortune of being hosted at Berg flagships such as The Cavern – where their support has extended beyond accommodation, to things like soul-cleansing, pressure-release, rest and a chance for me to feel like I am treating my family. The owners even chucked me on a horse for an hour’s ride in the rugged foothills; which ended in an unceremonious dismount onto my wheelchair in the main tea-garden! Chris and Loretta of All Out Adventures, have been no less contributory to my gradual upscaling of challenging activity. Apart from being great and inspirational people to talk to, they have often opened their ‘doors’ to me. 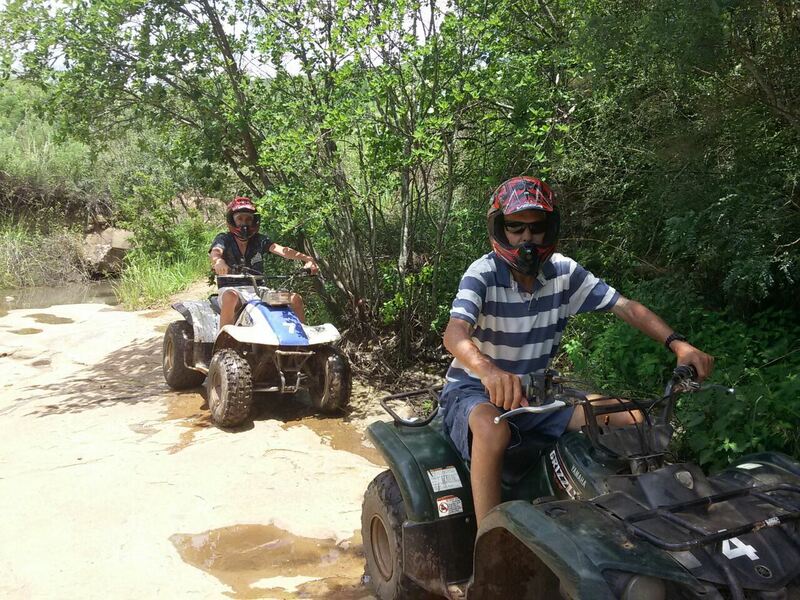 One of my most recent highlights was an outride on a quad-bike, with my son, which they kindly extended to me. For that hour I was not disabled. 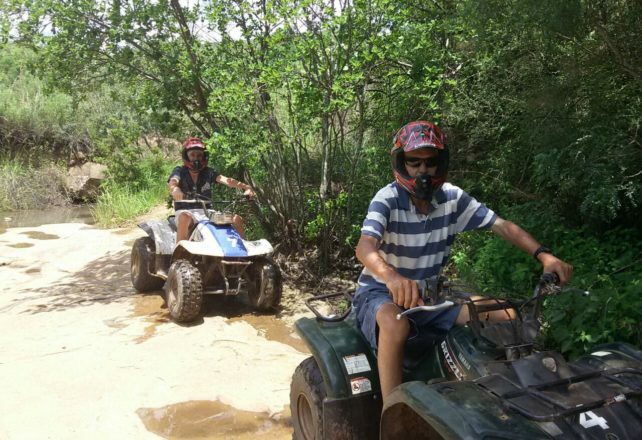 Those four wheels gave me a sense of freedom and normality that I miss. I felt a sense of achievement. So many months sick in bed, then into a wheelchair, and then for a blissful hour, I was enjoying a hair-blowing, adrenaline-filled and recuperating thrill. Enabled. 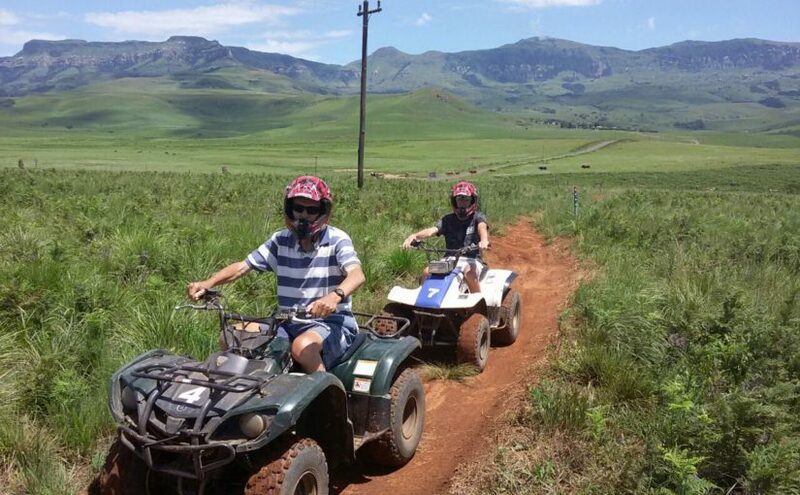 Adventures and fun in the Berg, whatever the difficulty level, is not only for the muscled and the fit. Those of us with disabilities, illness, inflictions, emotional issues, stress…are as accommodated as the Duracell bunnies, in the vast adventure filled Berg, that is Nature’s very own hospital. Reason. Will. Opportunity. They are in your own hands.